This patent pill formula is sold in two sizes—choose from—one bottle of 100 pills (that’s a 12-day supply) for $7.29, and we discount on a 60-day supply (6-bottles) for $42.99 ($7.29 + $35.70). This patent formula is excellent for replenishing the Jing and Chi that has been lost due to sexual over-indulgence. (Use daily for 100 days). It will powerfully tonify the Kidney Yang and Chi, and it benefits tendons and bone. 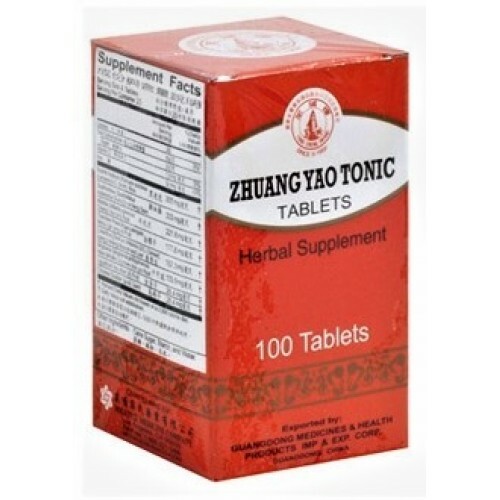 Used for various symptoms associated with deficiency of Kidney Yang, including lower back pain, weakness, pain in Kidneys, urinary dribbling, incontinence, and replenishes lost sexual energy. Treats problems due to excessive male sexual activity, including fatigue, poor memory and lower backache. 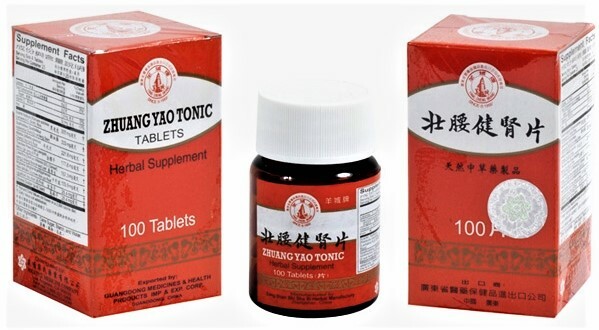 Can be used for long periods as a general kidney yang tonic.